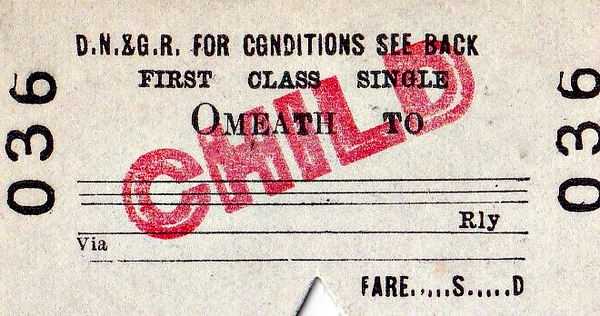 DUNDALK, NEWRY & GREENORE RAILWAY TICKET - OMEATH - First Class Child Single to blank destination. I guess very few of these were ever issued as Omeath is just a small village with a population even today of only about 500. The railway closed in 1951.